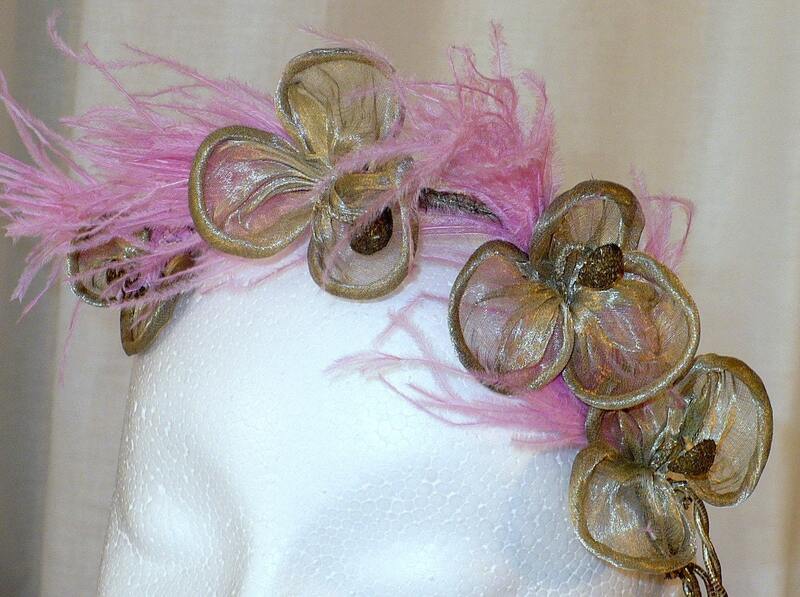 Rouge your knees and roll your stockings down - this headpiece is to die for! Takes your breath away! 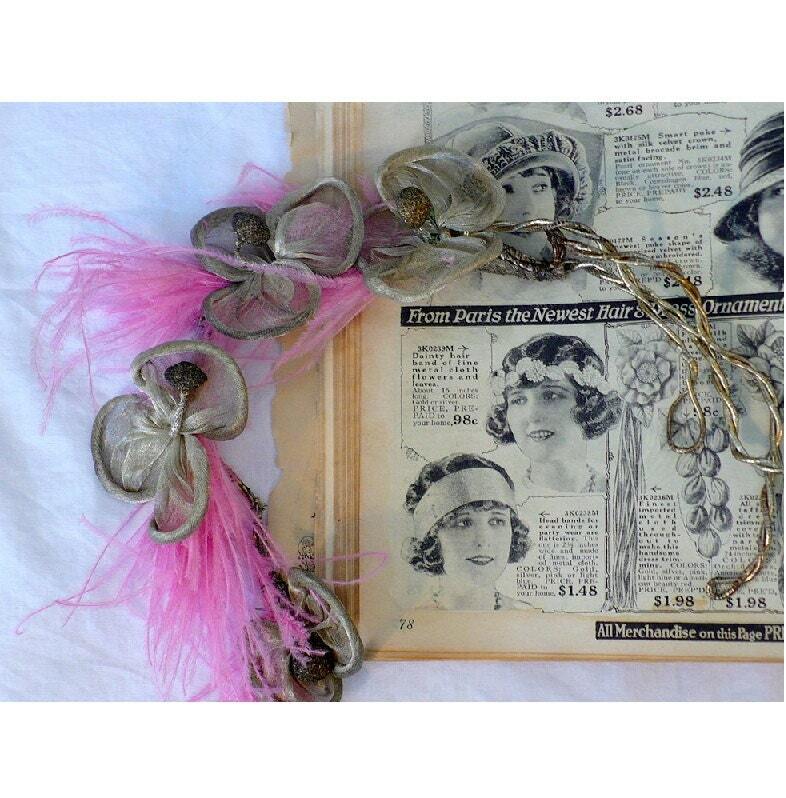 Authentic 1920's flapper headband "From Paris the Newest Hair Ornament of Metal". 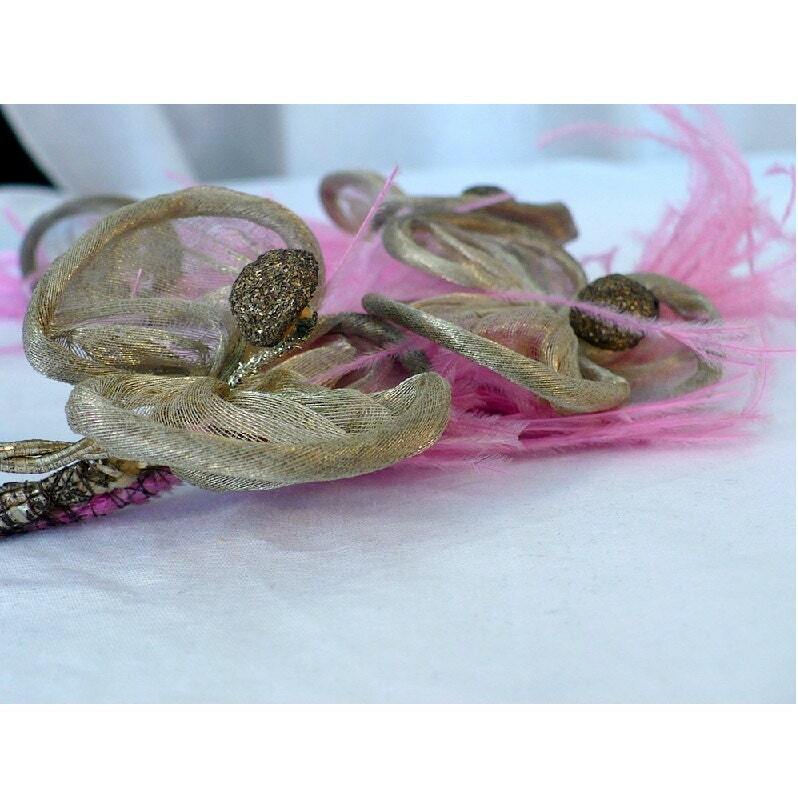 Genuine silver metal cloth flowers with pink ostrich feather accents. 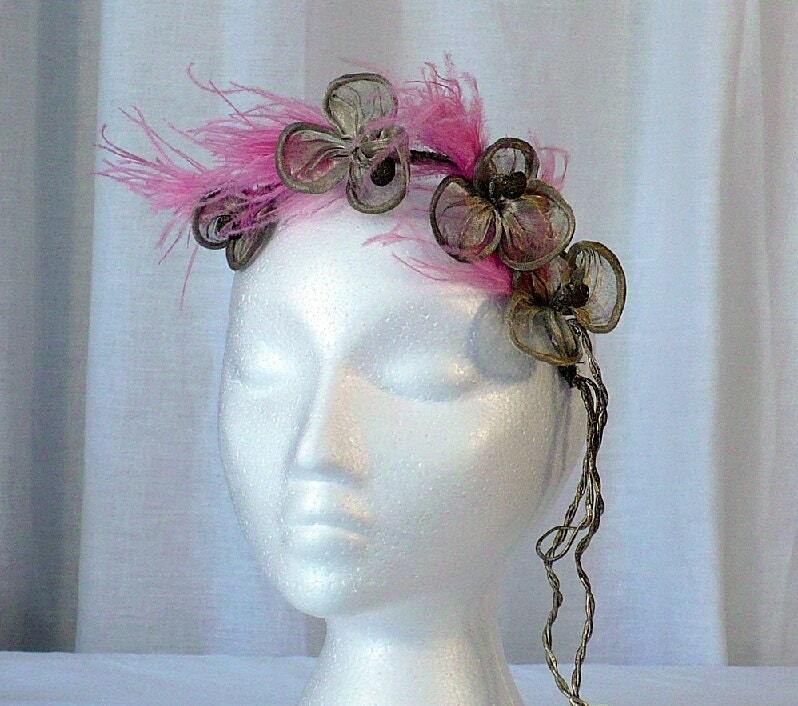 Measures: Length approximately 8 inches, with metal falls at side measuring an additional 7 inches. Condition: Some slight tarnish on the silver as this is the real deal. Piece maintains it's wearable integrity, although it would be a treasured piece for any textile museum collection as well. Please note: Catalog image is for informational purposes only. Thank you.